What is now Columbia College’s 10th Street Center, housing flexible office and meeting spaces, was once a strip mall. SOA conducted a feasibility study and found that the pre-engineered metal building could easily be ‘adaptively reused’ from retail space to academic and administrative spaces. SOA’s design for 10th Street Center transformed the building’s image and created flexible interior space, in which the College has already housed several different departments and functions. When buildings are able to be reused there are obvious environmental benefits: less trash is taken to landfills, the embodied energy used to manufacturer the existing building materials is not wasted, and existing trees and landscaping may be better preserved. SOA has helped numerous clients assess the opportunities in existing structures, along with the costs of retaining them, so they could decide if this sustainable strategy is appropriate for their project. Columbia College’s Rolla Campus turned a church into classrooms, labs and administrative space. Boone County Government Center Annex changed a paint store into an office space. Columbia College’s Federal Hall was originally built as a post office, then became a museum, and now houses the College’s Online Campus. Columbia College’s Dorsey Gymnasium was transformed, with careful acoustic measures, into an event space. Central Bank of Boone County altered a century old downtown mercantile into office & training spaces. 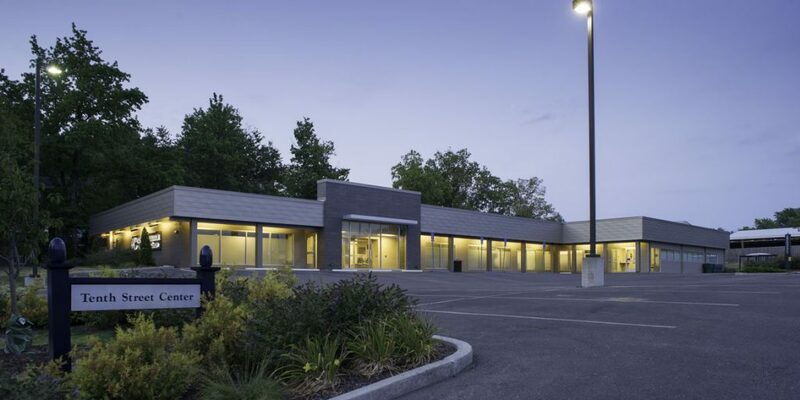 Capital Region Medical Center’s Renovation and Expansion included the conversion of a portion of a parking garage to in-patient hospital area.